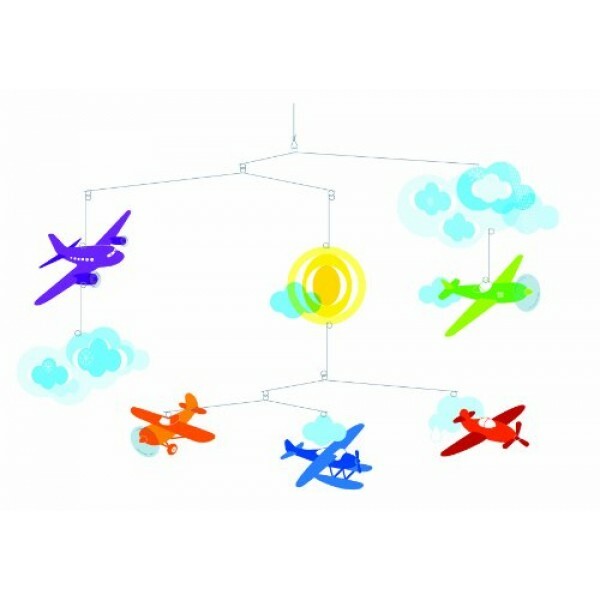 Your budding pilot will have sweet dreams with this mobile hanging in her room!The Djeco Flight mobile has four arms that can float in different directions, creating an ever-changing look. Puffy clouds also dance near the planes as they circle around a cheerful sun. And since all the pieces are lightweight, it takes just a breath of a breeze to set them in motion. 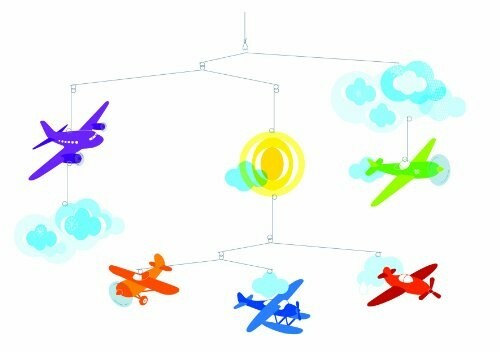 For more items to decorate your child's special space, visit our Art / Decor Collection.